Your first stop is a visit to one of the best outdoor music venue’s on earth, Red Rocks Amphitheater, where music has echoed off the sandstone cliffs for decades. 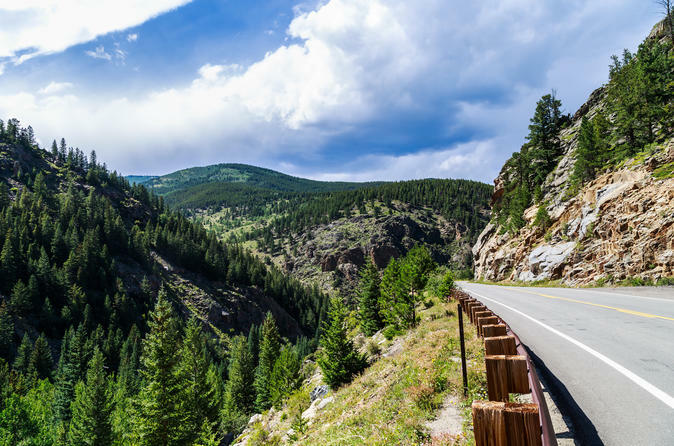 Drive through Morrison on your way up into Bear Creek Canyon and watch the landscape change as you head up into the mountains. Take in sweeping vistas and the clear waters of Echo Lake, as you continue along on your journey. Continue through some historic mining towns and hear stories of local legends who were a part of Colorado's unique history. Summer: June - August - Drive to the top of Mt Evans above 14'000ft. Fall: September- October - Drive up to 12'800ft. Last 5 miles to top is closed. Winter: October 10 through May - The tour will drive along the foot of Mount Evans and stop at a scenic mountain lake. Additionally the group will stop in a charming historic mining town.